What are the signs of quality hay that you should look for prior to feeding your pet? Variety is the spice of life! Check out Oxbow's delicious variety of tasty and nutritious hays! Providing high quality hay is one of your most important responsibilities as the caretaker of a small herbivore. Whether you’re a first-time pet parent, or an experienced pet caretaker, selecting the right hay to meet your animals’ needs can be an intimidating process. This guide is designed to make the hay selection process as easy and enjoyable as possible. 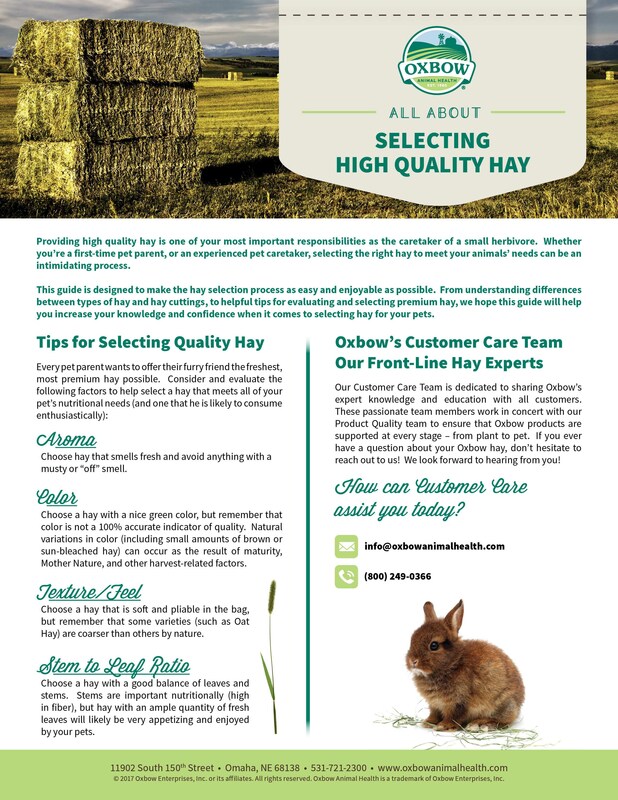 From understanding dierences between types of hay and hay cuttings, to helpful tips for evaluating and selecting premium hay, we hope this guide will help you increase your knowledge and confidence when it comes to selecting hay for your pets. For over 25 years, Oxbow has specialized in producing premium hay that meets the specific needs and preferences of small herbivores. Our hay production is guided by 5 generations of family hay growing expertise, and all Oxbow hay undergoes an extensive quality journey – from the time fields are planted, to the moment when the hay is fed to pets. 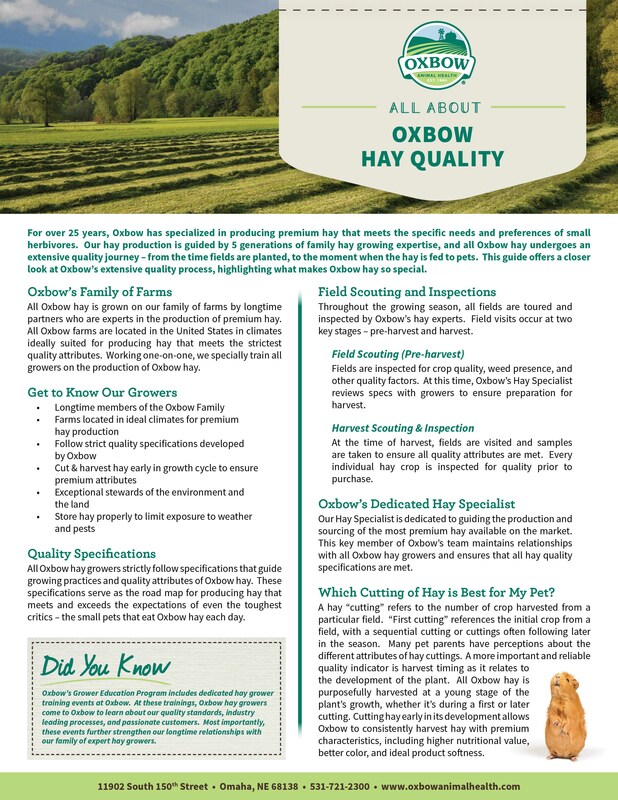 This guide offers a closer look at Oxbow’s extensive quality process, highlighting what makes Oxbow hay so special.